The Montblanc Maison introduces a new dimension of compelling charisma. Montblanc Legend Spirit stands out thanks to its radically modern aesthetic of immaculate glossy white lacquer and tempered steel. Inspired by all forms and shades of white, the fresh, virile and intense fragrance is as breathtaking as a resplendent landscape. 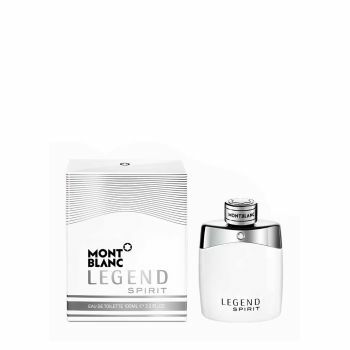 If this new fragrance reveals a more casual and unguarded aspect of the Montblanc Legend man, it still embodies the versatile appeal and quintessentially elegant elements of his character.